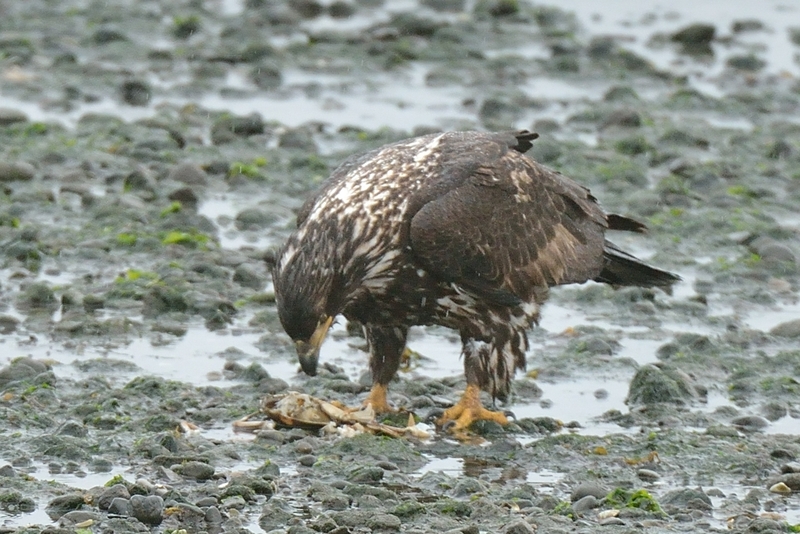 Subadult bald eagle with crab, Anacortes, WA. 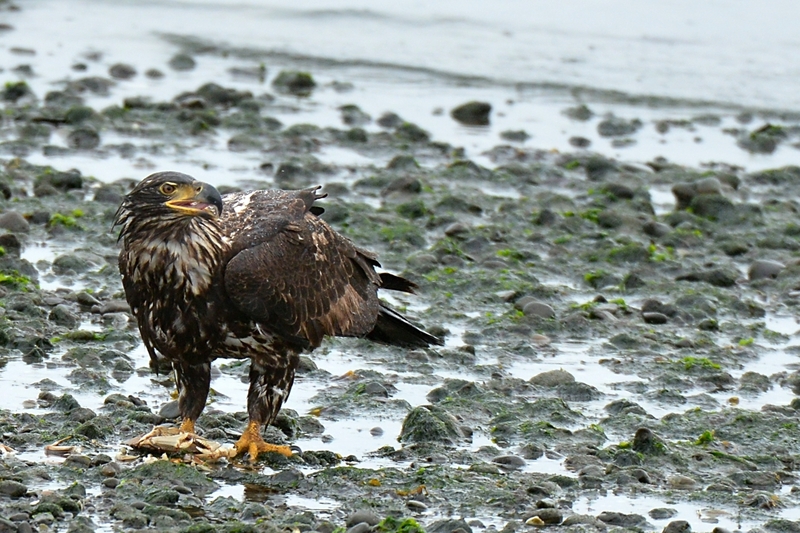 was at march’s point, on anacortes city limits saturday and saw this young eagle fly down the shoreline and jump on something. figured it was a duck. it was raining like crazy so just stuck the lens out the window and shot a few rounds. stopped to blow the image up and saw it was a crab! they’ll eat anything. looks like it scooped all the guts out but never did get into the claws. some fun.